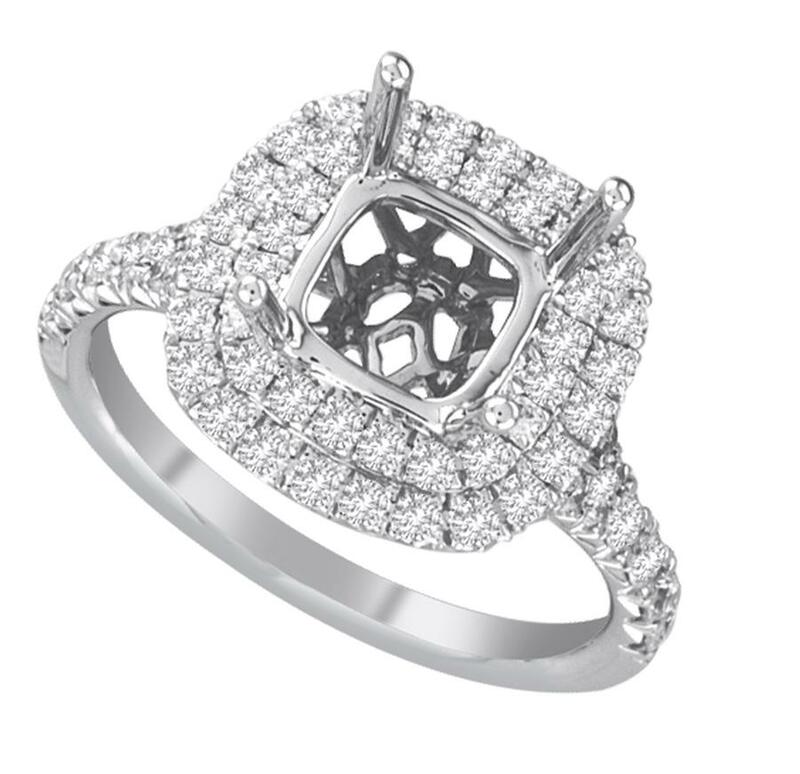 Double Halo Diamond Semi Mounting with Split Shank. Accommodates a 6.4x6.4mm Cushion Diamond. Fits flush to matching curved band, BT3086-W.